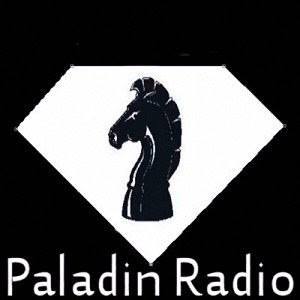 Paladin radio is seeking new artist and music to play. First off we are not going to ask you for any money. I know pay for play is alive and well on the web but we don't want your money. What we want is for you to promote yourself shamelessly and use our name and resources to do it. See the more content a website has the more it gets found on the web. This equals more listeners for all of us. If I had 10 or more artist giving me a blog post every day we would be a force to be reckoned with on the web. This also goes for cross support on face book and twitter. Now this also takes on a whole new dimension when you add the use of simple flyer's into the mix. I know every artist has a fan base of some kind. Now when your getting these flyer's out showing your supported by a radio station it helps, but if there is a ton of artist doing this all over the world this would be an advertising force that would make some big labels jealous. So here is what we do for you. do your daily post what your thinking,doing and give us pics even video blogs if you want. put out the flyer's. yes that's the only one that cost you a little money for copies. Lastly support us as much as we support you on social media. If this sounds like something you want to be part of just click the link below and we will get started.